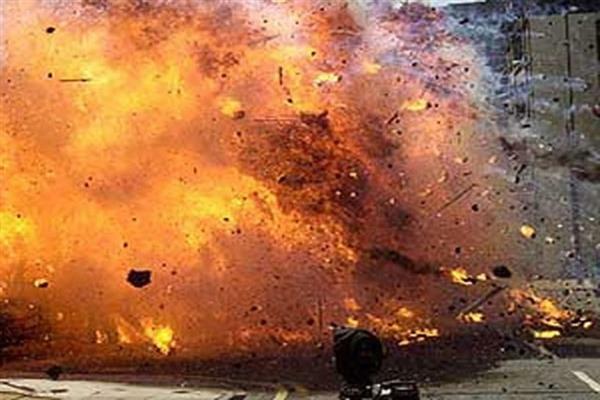 Srinagar: Twenty two students were injured in a mysterious blast inside in a private school at Narbal area of Kakapora in south Kashmir’s Pulwama district on Wednesday. Reports said that the explosion took place inside a class room of 10th class of a private school (tuition center) known as Falai-e-Millat at Narbal. 22 students sustained splinter injuries in the blast and have been admitted to different hospitals including Srinagar’s SMHS. The condition of all the students is stated to be stable, they said. The injured were taken to PHC Kakpora from where nine students were shifted to SMHS Srinagar, four to Bone and Joint hospital Barzullah here, as many to district hospital Pulwama and five to Sub-District hospital Pampore. A police officer who is investigating the case said that preliminary investigations suggest that one of the students may have brought the explosive shell from the encounter site at Ratnipora, some three kilometers away from Narbal, Kakpora. However, he insisted that the investigation are preliminary in nature. SSP Pulwama Chandan Kholi said that the blast took place at around 2:00 p.m and 16 students suffered injuries in the blast. “Police team immediately rushed to the spot and shifted the injured to hospital,” SSP said. He said an FIR has been registered in police station Kakpora and the investigation was in progress and further details will be shared later,” SSP said. Police in a statement put the number of injured to 12. Meanwhile, Governor Satya Pal Malik has deeply regretted the unfortunate incident of an explosion at a school in Pulwama in which many students were injured.